Did you know that April is child abuse prevention month? Before I received my law degree, I worked directly with families and children providing therapeutic services. Then I left working directly with individual families to help establish an abuse prevention network across the State. I started working for Prevent Child Abuse NC (PCANC) as their program director in 1992 and stayed until I left to attend law school in 1997. It was extremely fulfilling work. And I know, first hand, the people and programs at PCANC are making a difference in the lives of children and families throughout North Carolina. PCANC is the only statewide organization dedicated to the prevention of child abuse and neglect. They invest in innovative programs that are proven to prevent child maltreatment before it occurs. PCANC helps North Carolina’s communities decrease factors that put children at risk for abuse and increase factors that encourage children to thrive. Through their offices in Raleigh, they serve every community in North Carolina. PCANC is a non-profit organization and is affiliated with Prevent Child Abuse America. 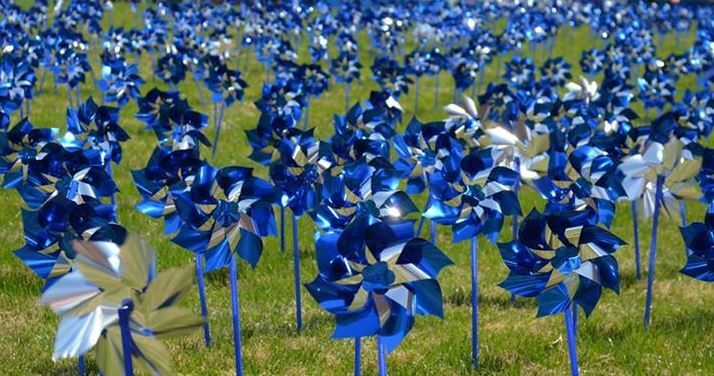 If you want to show your support for their efforts during April, Child Abuse Prevention Month, join the Pinwheels for Prevention campaign. The pinwheel represents their efforts to change the way our nation thinks about abuse prevention. PCANC focuses on community activities and public policies that prioritize prevention right from the start to make sure child abuse and neglect never occur. Click here to learn more about planting your own pinwheel garden or organizing a community-wide pinwheel planting! Or visit the PCANC website at https://www.preventchildabusenc.org/ to find out how you can help prevent child abuse and neglect.